Scottish Borders Council's leader David Parker has expressed regret over the handling of the removal of garden waste collections in the region. However, the council will not reinstate them despite an 8,000-signature petition seeking their return. The local authority backed a motion by Mr Parker which regretted how the move was handled and a lack of consultation. It will also look at ways of improving recycling facilities in some of the region's smaller communities. In addition, steps will be taken to offer support to elderly and vulnerable people in getting their waste to recycling centres. 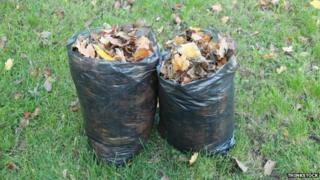 The council decided to the end the garden waste collections in December 2013. Councillors had been told that continuing the scheme and introducing food waste collections would cost about £600,000 each year. The removal of the service prompted concerns from residents and a petition organised by former Hawick councillor Andrew Farquhar was signed by more than 8,000 people. Tweeddale councillor Stuart Bell said the lack of real consultation was a matter for regret. Nonetheless, he said that scrapping the garden waste uplifts had been the right thing to do in tight financial times.